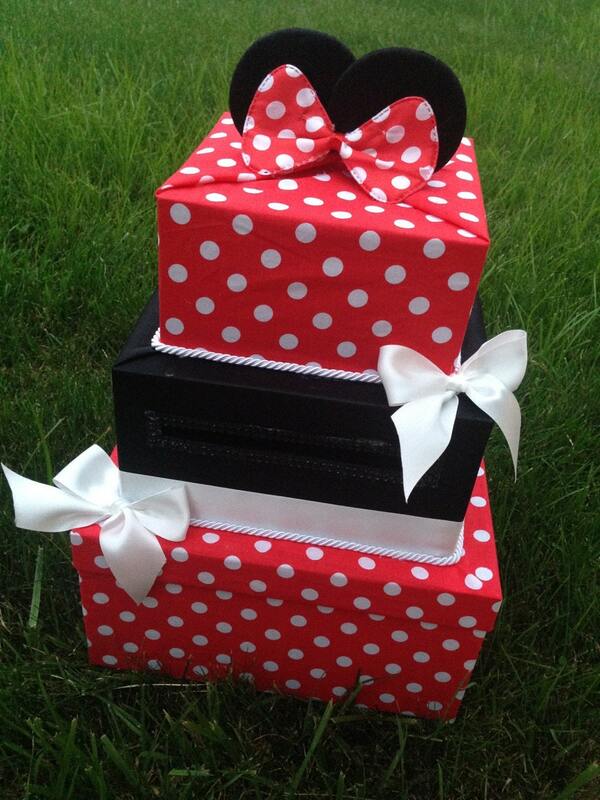 Three Tier Minnie Mouse Card Box, perfect for Minnie or Disney Themed Birthday Parties and Events!!! 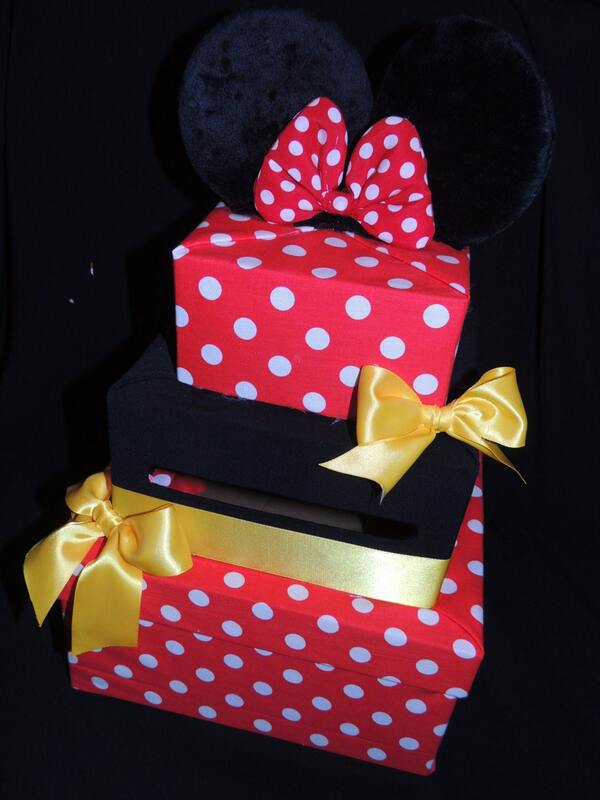 Standard Box Comes with Satin Ribbon bows and accents, with Minnie Mouse Ears as Top Embellishment! 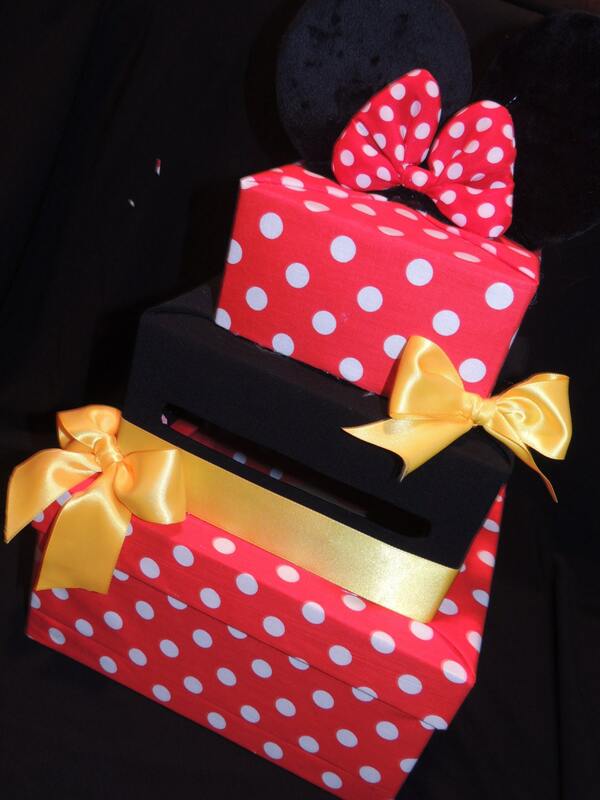 We can make any box custom, we just need a photo of what you like or your theme colors. 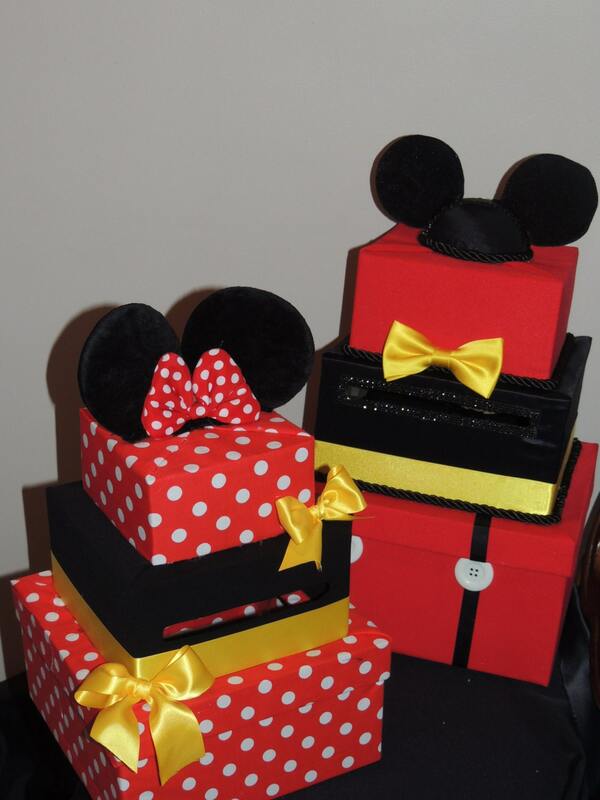 Please visit our website for additional Disney Inspired Items!! 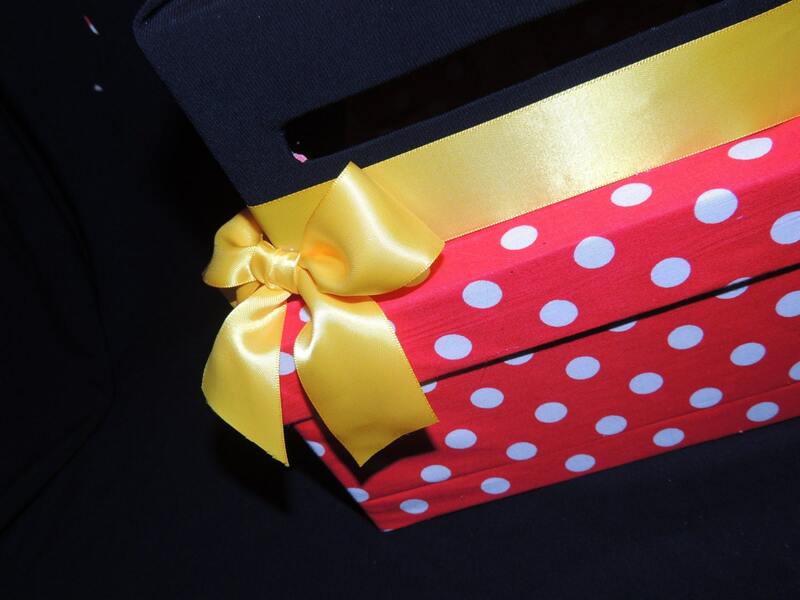 If you prefer a smaller box email me for information. Please note custom boxes take 2-4 weeks to make. Orders can be rushed for an additional $20-$40 depending on the date needed. Boxes are not returnable or exchangeable. Policies Payment All items are custom and non-refundable. We accept direct pay, check or money order. No orders are shipped until payment is received and cleared. Policies Refunds No refunds on custom items. Additional Info All items are custom ordered and take 4-6 weeks to ship and complete. Rush orders are available at an additional charge.